Reviewing the Freestyle World Cup draws and Kazakhstan's National Championships. Also looking at results from the Zagreb Open and how they changed the Greco-Roman rankings. United World Wrestling has announced the draw for the 2019 Freestyle World Cup in Yakutia, Russia. The annual dual-meet event is a highlight of the international wrestling calendar and features the top eight teams from the 2018 World Championships in Budapest. The UWW executive board determined this week that all World Cup competitions, including the Greco-Roman and Women’s World Cup, should follow the same competition format for placement of teams in their respective pools, or groups. With the new system, the No. 1 team will be paired with the No.4, No.5, and No.8 teams from the world championships. The No.2 team will in a group with the No.3, No.6, and No.7. 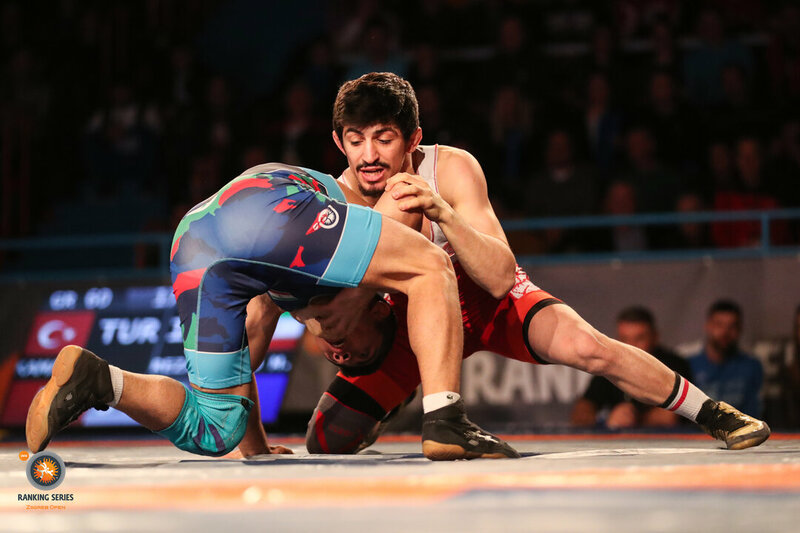 The first Greco-Roman Ranking Series event of the year, the Zagreb Open, wrapped up in Croatia, and Turkey captured the team title with their solo champion Kerem KAMAL (TUR) and three runner-ups. They finished 31 points ahead of second place Uzbekistan, who had two champions, and one second-place finisher. Croatia’s hometown wrestler Bozo STARCEVIC capped off his impressive run to a fifth consecutive Zagreb Open title with a tactical 2-1 victory over Turkey’s Yunus BASAR in the 77kg finals. Meanwhile, Bulgaria’s Daniel ALEKSANDROV and Russia’s Ilia BORISOV knocked off reigning world runner-up’s Emrah KUS (TUR) and Kiril MILOV (BUL) respectively to with their first Zagreb Open titles. 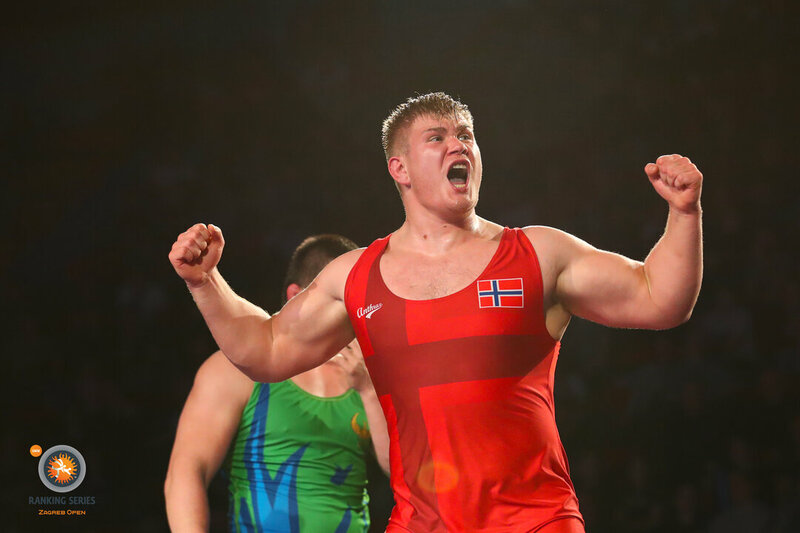 In the 97kg finals, Ilia Borisov also knocked off a returning Budapest world champion to win his Zagreb Open title. Borisov, the lone Russian finalist, tossed around returning world runner-up Kiril MILOV (BUL) with ease and scored the 9-0 technical superiority victory in the opening period. Click HERE for a full recap of the Zagreb Open. Kazakhstan, the host nation for this year’s 2019 Astana World Championships, wrapped up their National Championships in freestyle, Greco-Roman, and women’s wrestling last weekend. In freestyle, six of Kazakhstan’s 2018 world representatives captured a medal at last weekend’s Nationals Championships, but only Daulet NIYAZBEKOV and Adilet DAVLUMBAYEV walked away with gold medals. The other five wrestlers who competed in Budapest all took home bronze medals. Also of note, two of Kazakhstan’s most successful wrestlers from last season, Nurislam SANAYEV and Zhandos ISMAILOV sat out of the competition due to injury. Sanayev was last year’s world team representative at the Budapest World Championships, where he fell to Russia’s Zaur UGUEV in the 57kg gold-medal bout. Sanayev also had success at the Asian Championships a season ago, capturing the gold medal, though that title-winning performance came at 61kg. Kazakhstan’s 57kg Asian Championship bronze medalist Zhandos Ismailov sat this weekend due to injury. Both of these guys were expected to compete for the 61kg title. Instead, it was Kazakhstan’s U23 world representative Bauirzhan TOREBEK who grabbed the gold medal. Though a win last weekend puts most of the championship wrestlers into the continental championships, it does not guarantee them a spot on the 2019 Astana World Championship team. That decision won't come after several international tournaments. *Kazakhstan's 2018 national team members listed in bold. 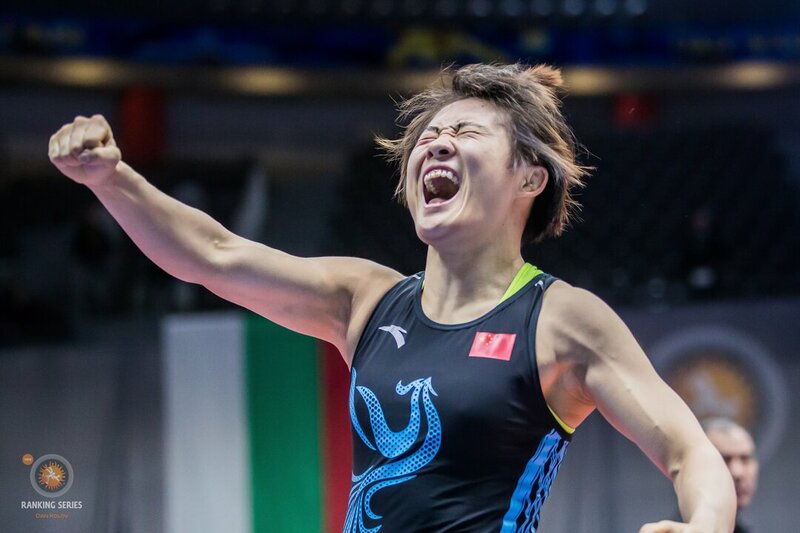 Click HERE to review Kazahkstan's Greco-Roman and women's wrestling results. Russia’s 🇷🇺 two-time Olympic champion @vlasovroma90 and Germany’s 🇩🇪 three-time world champion @frankstaebler began training together in Sochi, Russia two days ago. Staebler, along with ten other German wrestlers, will be in Sochi for 10 days training with Russia’s Greco-Roman National Team. The Russian Federation welcomed teams from Germany, Kyrgyzstan, Switzerland, and Uzbekistan, to attend their first training camp of the 2019 season in Russia’s Olympic host city of Sochi. The camp in Sochi brought together two Greco-Roman superstars in two-time Olympic champion Roman VLASOV (RUS) and three-time world champion Frank STAEBLER (GER), who was a part of a German squad that brought ten wrestlers to train with Russia’s No. 1 Greco-Roman National Team. The first set of updated Greco-Roman rankings have been updated after the Zagreb Open and are up on United World Wrestling’s homepage. 55kg - Ekrem OZTURK (TUR) takes sole ownership of the No. 3 spot after a runner-up finish at the Zagreb Open. Ozturk now has 37 points after the Zagreb Open and fifth place finish at the world championships. 67kg - Danijel JANECIC (CRO) leaps Budapest bronze medalists Meiirzhan SHERMAKHANBET (KAZ) (25 points) and Gevorg SAHAKYAN (POL) (25 points) with his fifth-place finish at the Zagreb Open. He now has 30 points. 72kg - Aik MNATSAKANIAN (BUL) was tied with fellow world bronze medalist Rasul CHUNAYEV (AZE) for the third spot with 25 points, but broke that tie with his bronze-medal finish at the Zagreb Open. MNatsakanian now has 39 points. 77kg - KIM Hyeonwoo (KOR) took possession of the No. 3 ranking with his third-place finish at the Zagreb Open. Kim has 37 points. 125kg - Yasmani ACOSTA FERNANDEZ (CHI) and Oskar MARVIK (NOR) moved up to the third and fourth spot after being eighth and tenth respectively. Marvik won the gold medal, while Acosta finished in third place. 2. Here are some of our favorite shots of @kadircaliskan ‘s from the #Zagreb2019. 4. Images from the historic wrestling room in Gori, Georgia. Here are some of our favorite shots of @kadircaliskan ‘s from the #Zagreb2019. Which one of these photos is your favorite? Представляем вашему вниманию яркие фотографии с турнира #Загреб2019 Какая из них нравится вам больше всего?